One of the biggest issues digital marketing agencies get to tackle on a daily basis is keeping track of the numerous social media accounts and profiles of their clients. For a company to be successful, the in-house process should be as smooth as possible. From the actual sale, through the successful deal to the start and completion of a marketing strategy, the company operations should run like a clockwork. And that’s not just a cliché! If you want to get your company to the next level and get above and beyond your quarterly goals, the first thing to make sure of is that the completion of the strategy for your client is a strictly defined process. While social media does require flexibility and adoption of new ideas on a minute-to-minute basis, your team should be able to properly take care of your clients. There are multiple sides via which you can tackle the issue of a smooth in-house process. 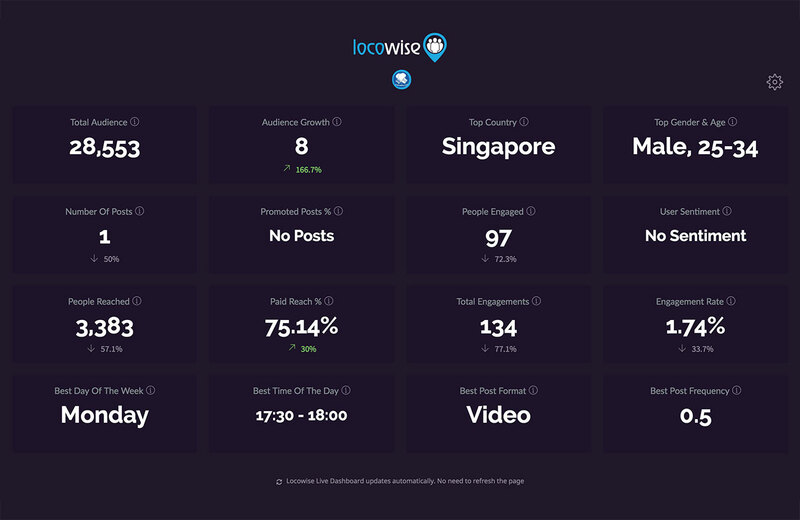 However, with our specialization in social media monitoring for agencies, we decided to focus on just how to achieve the best tracking via Locowise. 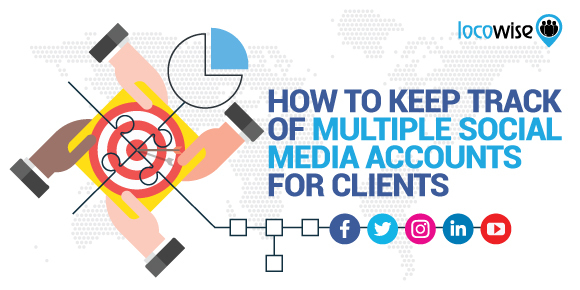 Without further adieu, here is a quick cheat sheet of just how your agency can keep track of multiple social media accounts for clients ensuring a smooth and seamless workflow process. The first and most important item on your list should be to make sure that you are using the live dashboard to your advantage. There are multiple ways our clients use the live dashboard. Some clients even find creative uses for it such as a motivational screen in the office. However, the two main ways to use our tool for multiple social media accounts tracking for clients is to focus on the specific client accounts and to build up a live dashboard with one main client account and track its main competitors. This dashboard setup is perfect for the leaders of digital marketing teams within an agency. It allows for the team leader to quickly be able to check the live performance of all the current accounts of the clients. However, in some cases, team members who are responsible for multiple clients can also use two or more client accounts on their live dashboard. With this setup, digital marketing agency employees are able to receive live updates on the performance of their client as compared to their main competitors. 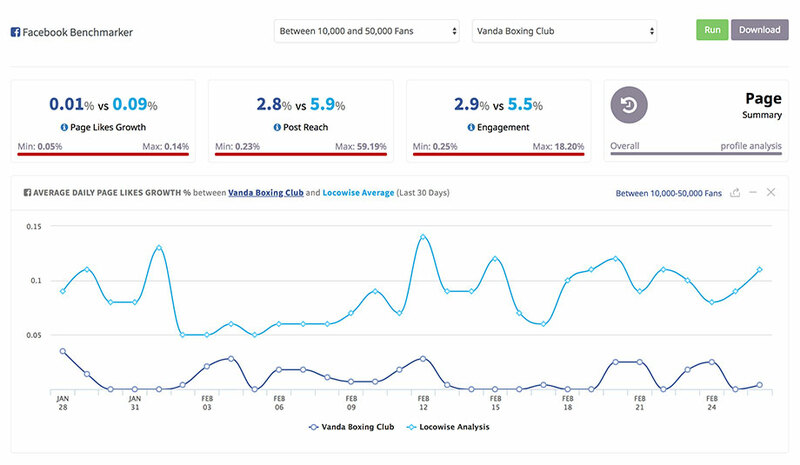 Depending on the size of your current strategy and the actual range of competitor analytics you are using to your advantage, using this dashboard view can be a great choice. This is especially true for big brands that are more keen on tackling direct social media competition, as it allows the digital marketing employee to see a direct live comparison of the general analytics related to the account of their client. One of the most helpful, yet easiest to neglect, features that we’ve implemented within Locowise are custom reports. Perfect for tracking multiple social media accounts for a client and streamlining the tracking process this tool allows you to create detailed multi-profile brand reports with one single click. However, the creation of custom reports allows you to make multi-profile comparison that much easier. Perfect for when you need to track the social media analytics of multiple clients, this tool allows you to create one-click reports on multiple profiles with extreme ease. All you have to do is click on a “custom report,” choose your brands for tracking and you’d be good to go. It’s as easy as that! Another highly useful feature that makes our social media tracking tool perfect for agencies is the content drilldown. 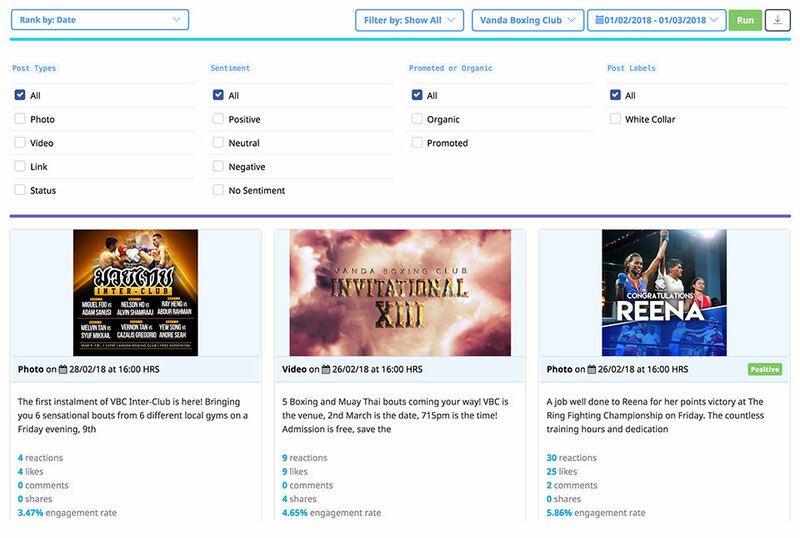 When using it, you can easily select multiple profiles to receive a breakdown of each individual post. There you can easily keep track of the most engaged with posts from multiple client accounts and thus allowing you to seamlessly follow the overall progress of different teams within your digital marketing agency. Yet, the content breakdown is also powerful for a couple of other easy to use actions that make the tracking process of multiple social media accounts for clients that much simpler. There are multiple filters you can use to create your content breakdown, depending on your platform of choice, posted content and more. Here are a few of the most important filters to keep in mind. By using the filter for post types, as the name suggests, you will be able to go through and rank the most popular posts for multiple social media profiles within a particular post type. The second filter allows you to separate the paid and the organic reach posts. This allows you to easily create a breakdown of the content of multiple clients based and compare the performance of the paid vs. the organic reach posts. You can even use this as a selling post in your next social media performance report to your clients. The third and probably the most important filter to use are the labels. Labels allow you to label different posts on both your client’s and their competitor profiles you are tracking. This is especially powerful tool for keeping track of simultaneous marketing campaigns and working easily with the filters on the content breakdown, you will be able to receive all the data you need with just a few clicks. The benchmark performance comparison is another great way to streamline your multiple profile tracking process. Via it you won’t be able to compare the accounts among themselves, but you will be able to compare the performance of a selected profile with the averages for a particular audience size profiles. This will help you more easily steer the general digital marketing strategy of the social profiles of each client by allowing you to have a better idea of how your performance compares to that of accounts and brands of similar sizes. The benchmarker, much like every other feature of Locowise, can be used in a variety of ways. However, in terms of making the tracking process of multiple social media accounts for clients simpler, the benchmarker can provide you with quick and easy access to valuable and insight and inspiration for all the main accounts you are tracking. The benchmarker can also be used as a starting point when setting up your goals for new clients. By doing so you will ensure that regardless of industry differences, you will still be able to have a pretty clear picture of what to expect at your client’s profile size from the very start of the work process. Last, but definitely not least, the creation of automatic reports can bring down the measurement of the analytics by a lot, depending on your current workflow process of keeping track of multiple accounts for clients. By integrating automatic reports within your social media strategies, you will be able to receive timed reports on specific dates showcasing the performance and measurement analytics of both single and multiple accounts for your client. With the ability to export the data in multiple formats, automatic reports will allow you to cut down the report building time significantly or erase it completely. However, the strength of this feature goes far beyond exporting the data in an easily accessible way. First and foremost, it provides you with quick and easy documents you can share with your clients directly. That way, in case you want to keep your clients informed, you won’t have to engage your team with report building chores, but instead can focus on the more important marketing strategy processes. What’s more, you can build automatic reports within specific campaigns for certain clients or for multiple profiles of a client, allowing you to further improve on your review and adapt process without the need of significantly changing your workflow schedule. Part of what makes Locowise so powerful for tracking multiple social media accounts for clients is the simplicity and ease of use. However, our features are flexible enough to allow you to easily integrate our social media analytics tool within your existing workflow processes. Want to learn more? Contact us to schedule a demo or sign up for a free trial of our tool today.